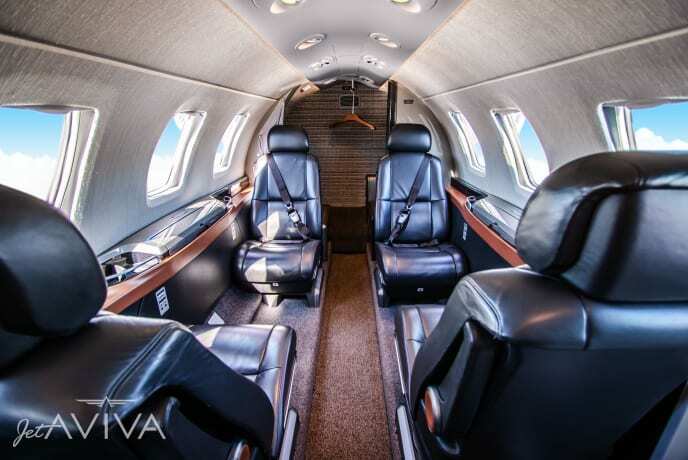 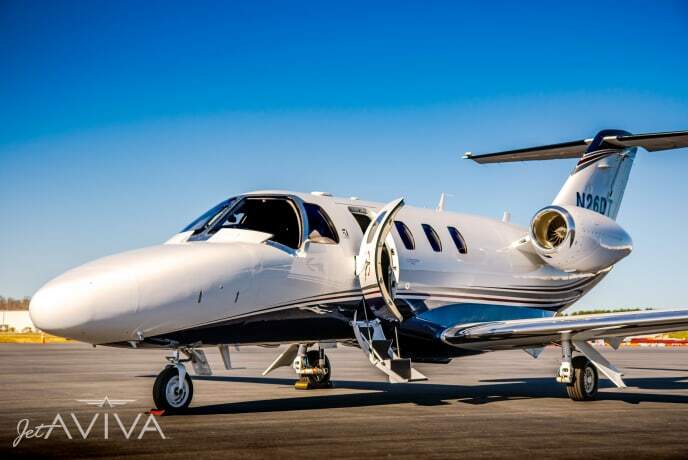 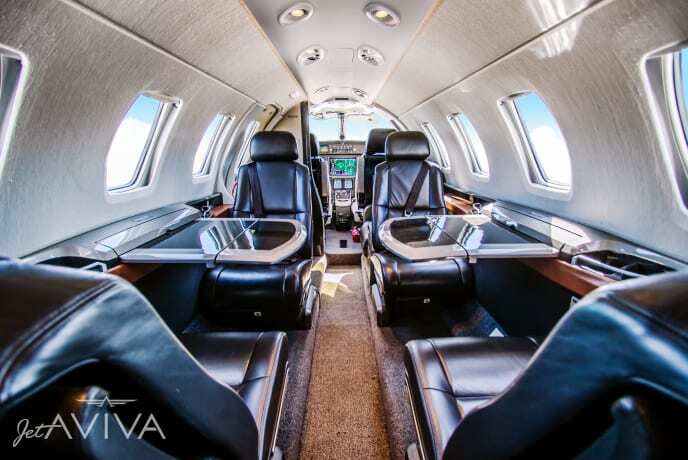 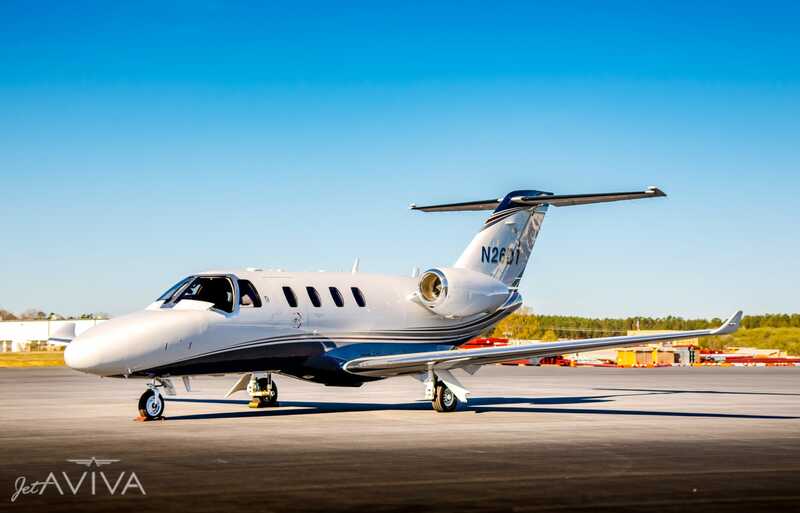 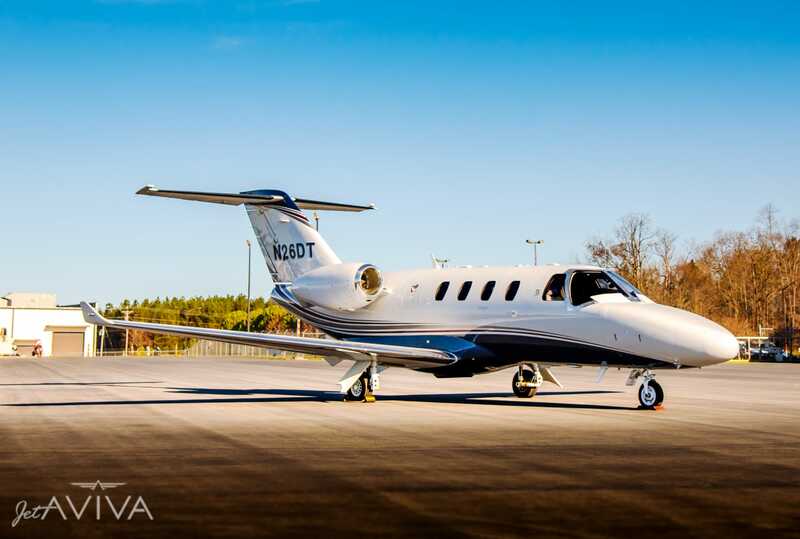 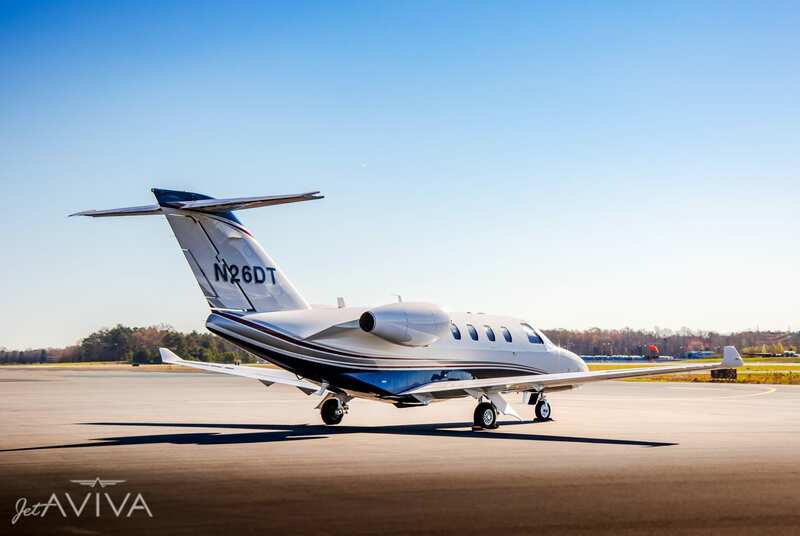 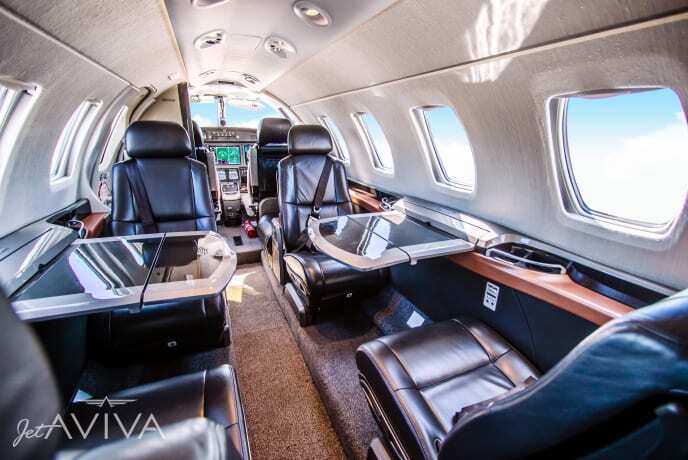 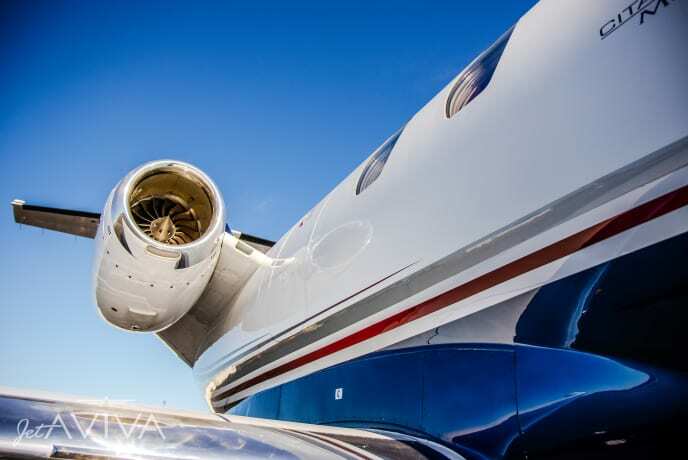 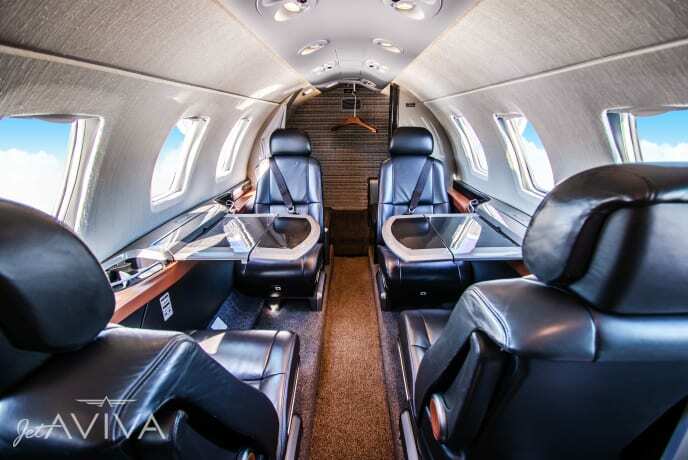 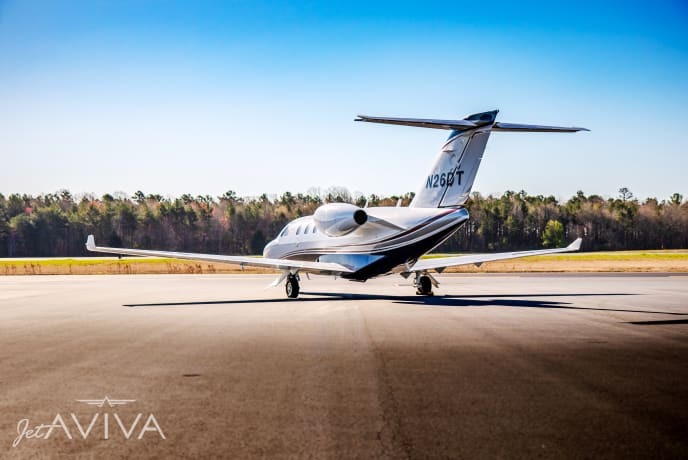 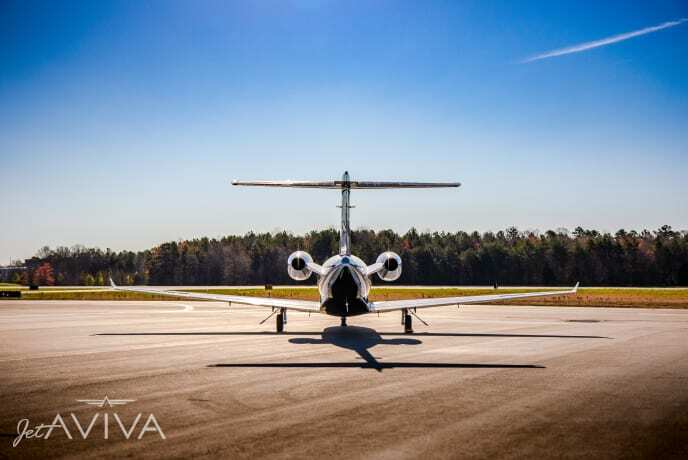 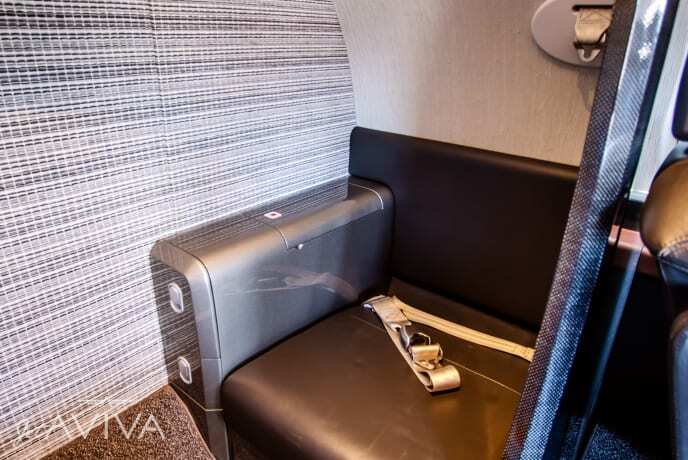 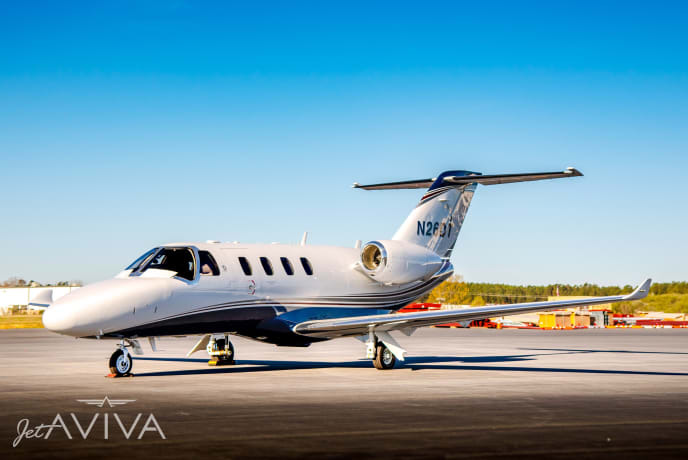 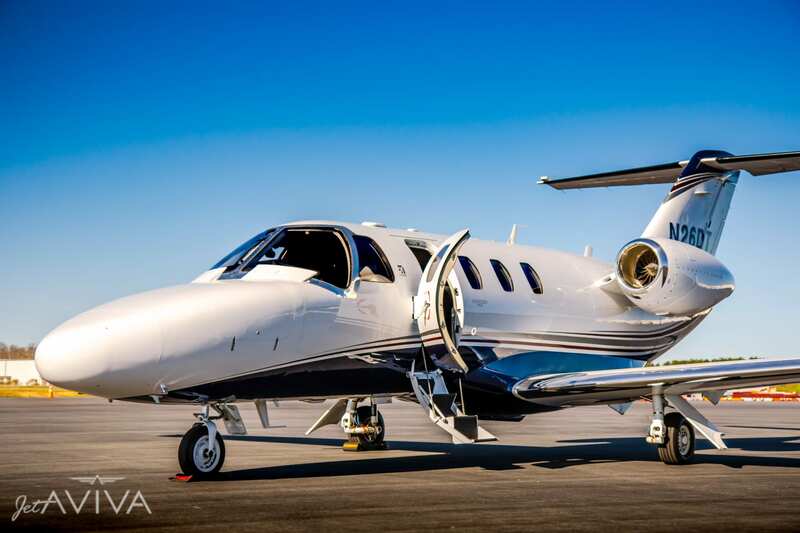 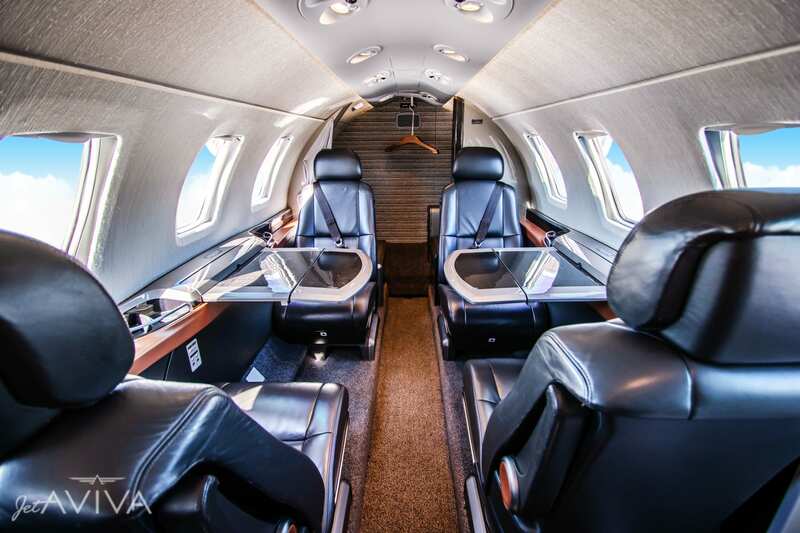 jetAVIVA is excited to present this highly optioned Citation M2, SN 525-0814. 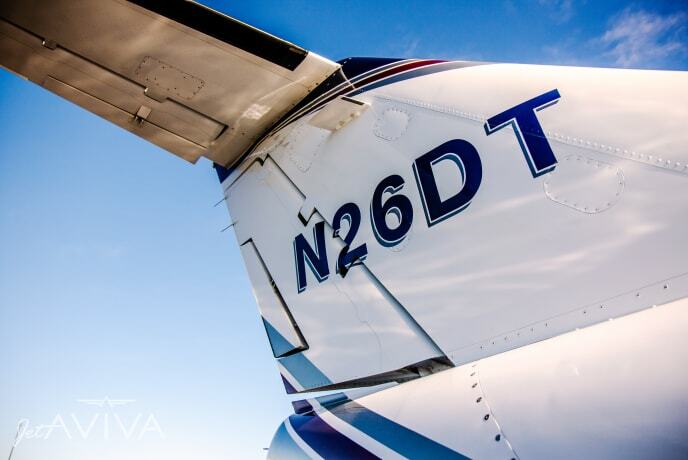 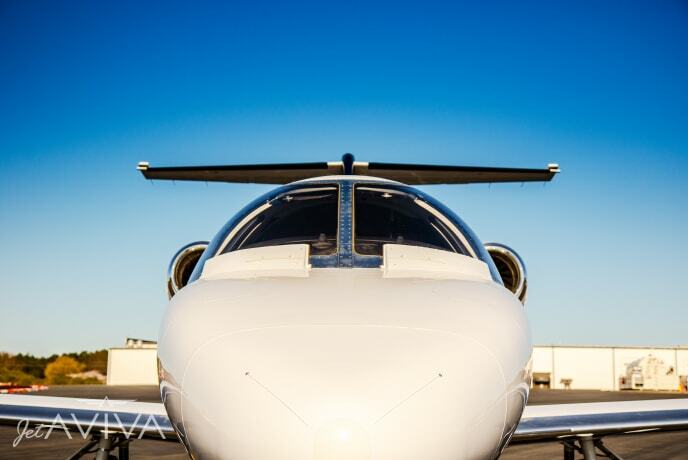 This stunning aircraft is fully enrolled in TAP Blue, ProParts and ProTech and is ADS-B Out compliant! It features popular options like the TCAS II, Class A TAWS, Synthetic Vision and much more. Don't miss your opportunity on this exceptional M2. 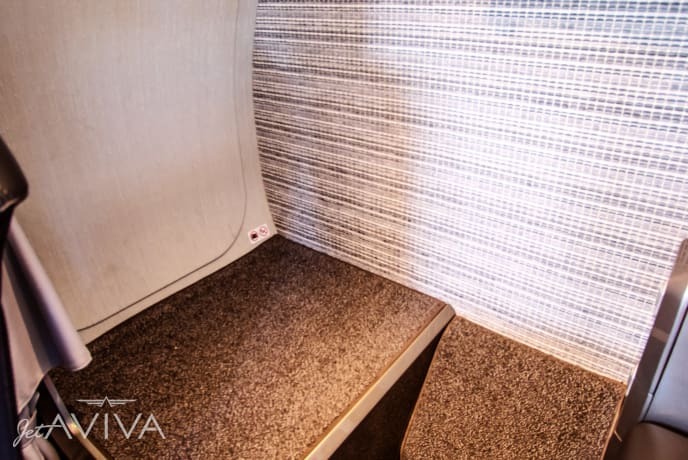 Overall Blue on White, with Silver and Maroon accent stripes. 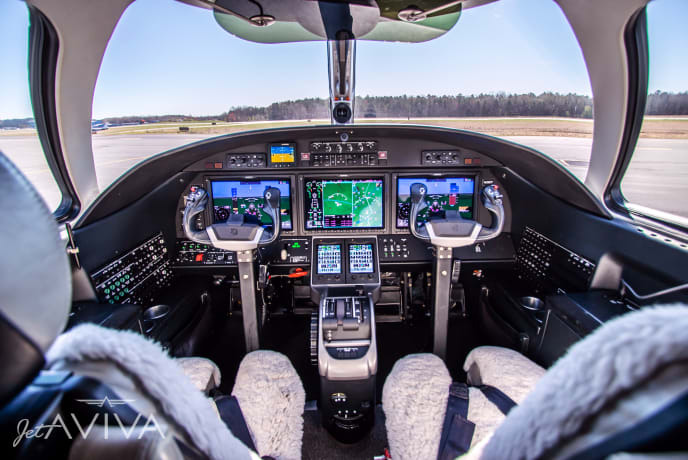 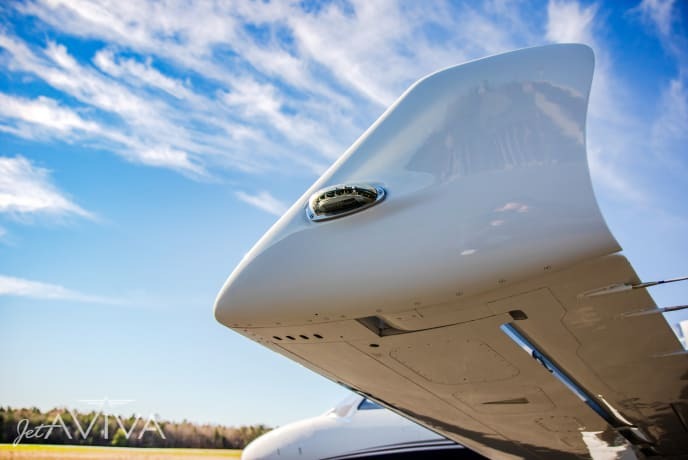 Following the one year paint warranty touch ups in January 2015, the aircraft was treated with PermaGaurd paint sealant and has had annual reapplications since, all accomplished by Cessna Appearance Group. 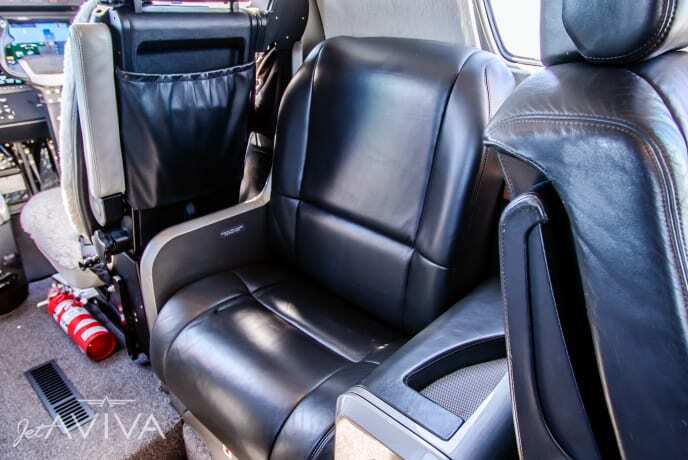 Carbon edition interior, with dark gray leather seats, dark gray carpet and sidewalls, accented with brown leather. 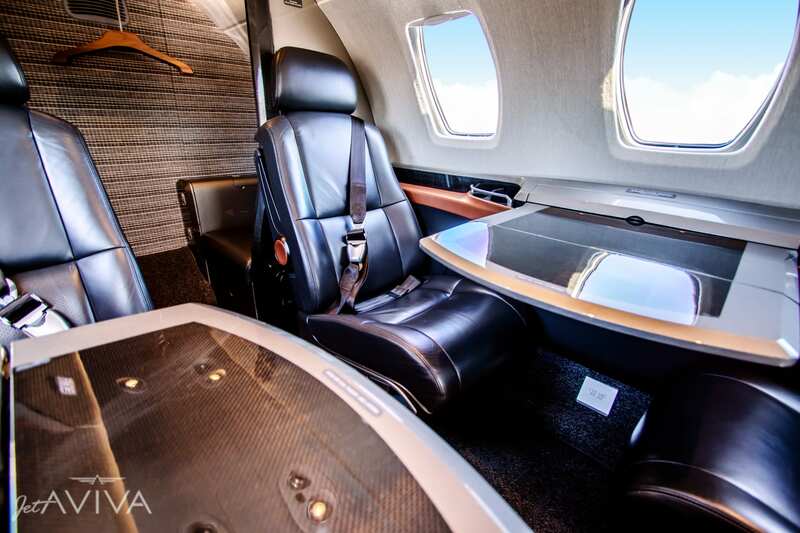 Cabinets and tables are black and gray carbon fiber. 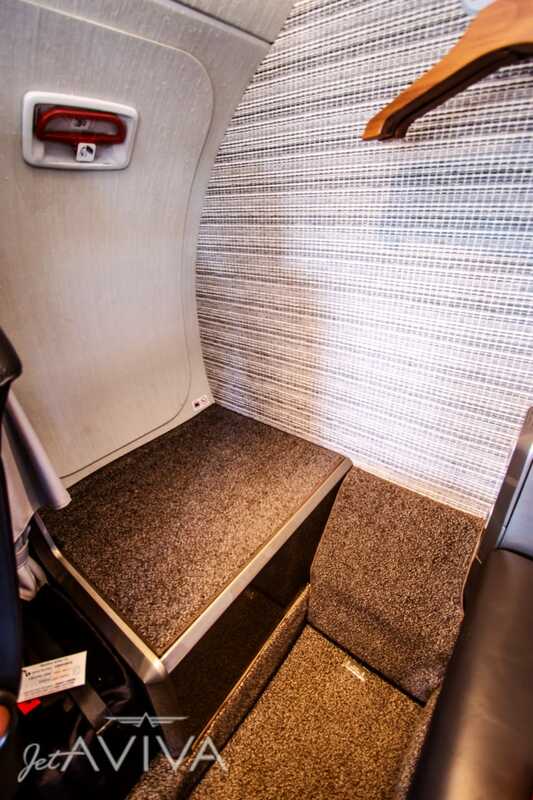 Service Bulletin completed to change out the divider between the copilot and forward side facing seat ($10,000), providing a significant amount of additional room in the copilot seat. 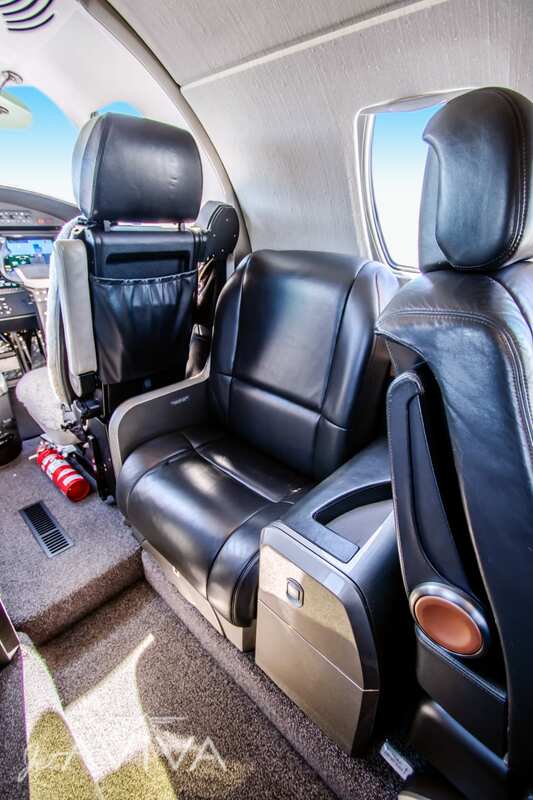 This SB requires the removal of the seatbelt from the forward side facing seat. 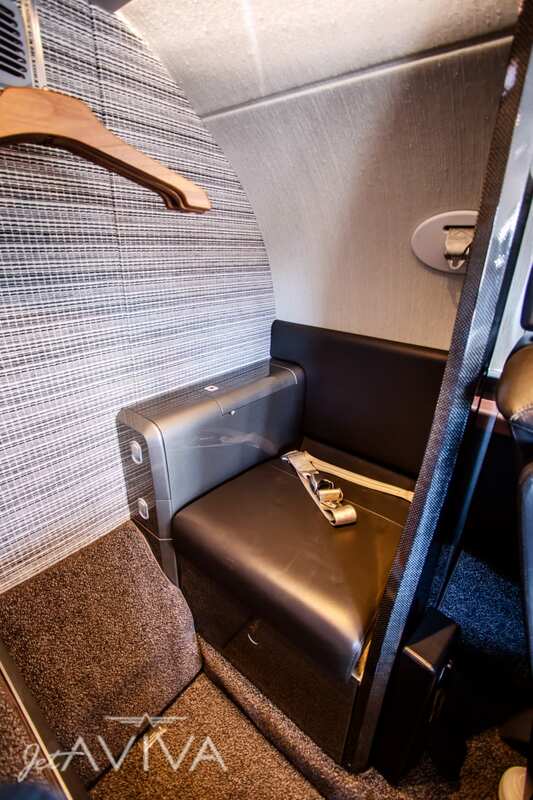 Sale includes all parts to easily convert back to original configuration if desired.